Col. Percival Fawcett was like Harry Faversham in The Four Feathers, except it was his breeding that was suspect rather than his courage. There was nothing Fawcett could do to change his lineage, so he definitely believes he has something to prove. As Fawcett sees it, the Amazonian rain forest is the place to do it. 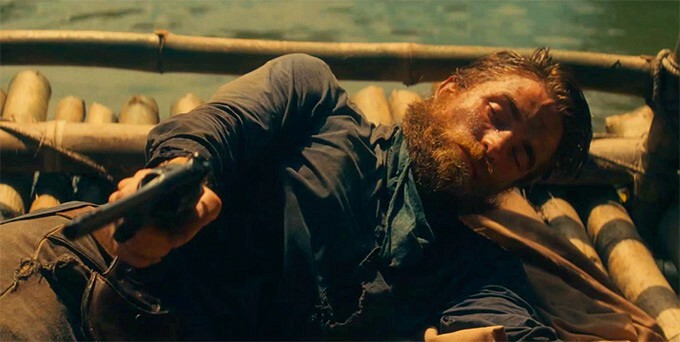 He will return several times to continue his obsessive search for a mythical fallen civilization in James Gray’s adaptation of the bestselling nonfiction narrative The Lost City of Z, which screened as the closing night selection of the 54th New YorkFilm Festival. If you had to share a foxhole with an officer, Fawcett would a good choice. He would certainly seem to be part of the privileged class in today’s world, but not enough so for his contemporaries. Consequently, he has no medals to show for his lifetime of military service. Fawcett keenly feels such slights, so he embraces the opportunity offered by an attachment to a Royal Geographical Society’s mapping expedition in Bolivia. Although things turn dire rather quickly, Fawcett and his comrades Henry Costin and Arthur Manley will successfully complete their objective. Along the way, Fawcett picks up the scent of an ancient fallen city buried within the jungle. It might just be the fabled El Dorado, but Fawcett prefers to call it Z (or rather the British “Zed”). Fawcett will return with subsequent expeditions hoping to find Z and the glory that would come with it. Unfortunately, the money for his second campaign comes with participation of his benefactor, alleged explorer James Murray, whose girth and sloth weighs down the party like an anchor. Meanwhile, Nina Fawcett waits patiently at home with their increasingly resentful eldest son Jack. Naturally, Gray goes to ridiculous lengths to suggest Fawcett was more culturally sensitive and humane than your average colonial glory-hunter. Frankly, it feels like a case of protesting too much, but at least it doesn’t waterlog the on-screen adventure. The sweeping visual scale and lush, shot-on-location backdrops represent a welcome throwback to epic filmmaking in the tradition of David Lean and Alexander Korda. Cinematographer Darius Khondji (who also lensed The City of Lost Children) fully capitalizes on the verdant vistas, probably setting himself up for a second Oscar nomination. Yet, Gray and company show more interest in the Fawcetts’ private family life than Henry Hathaway allowed for the Bengal Lancer. Charlie Hunnam is clearly comfortable returning to his Northern English roots as Fawcett. Despite his limited range, he nicely conveys the human foibles driving Fawcett’s manic compulsion. Likewise, Sienna Miller teases out a fully dimensional portrait of his loyal (but maybe not quietly so) wife Nina. Robert Pattinson (the Y-chromosome Jennifer Anniston) completely disappears into the role of flinty Henry Costin to an admirable and almost shocking extent. Yet it is Angus Macfadyen (Robert the Bruce in Braveheart) who really supplies the X-Factor as Murray, Fawcett’s appropriately flamboyant antagonist. It is strange to imagine a reasonably proper British officer slogging through the South American rain forest, but Gray adeptly positions him as an inspirational tragic figure rather than the cautionary sort. He also recreates the horrors of WWI just as well as anything you will see in Testament of Youth. It is a good, solid historical tale of derring-do, but the fact that such films are now the preserve of private equity productions and film festival premieres rather than the Hollywood studio system (such as it is) happens to be rather depressing. 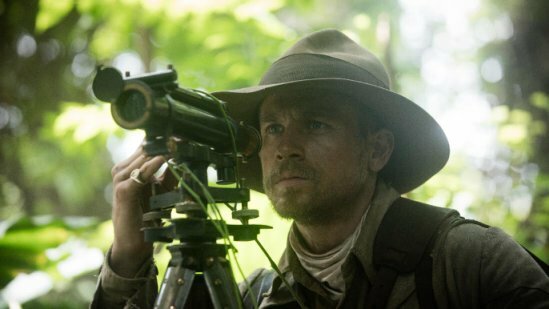 Recommended as a sweaty, slightly Conradian cinematic outing, The Lost City of Z is due to open in April 2017, after screening as the closing film of the 2016 NYFF.